Universal cradle can accommodate most any personal device of any brand like: smart phones, tablets, pads, MP3 players and more! 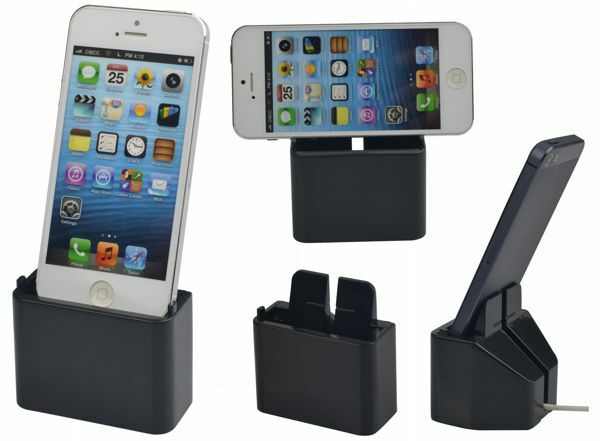 A convenient cradle for storing your personal device in an upright or horizontal position making it easy to view. The cradle is designed to accommodate your device's cord through a slot in the rear. Package includes the cradle only and no devices, cords or connections.